Oxford. The production of the new MINI starts at Plant Oxford, England, in just a few weeks time and will be unveiled at the brand's home on 18 November 2013. The launch campaign kicks off at the same time, once again centred around elaborately produced TV commercials. Tongue-in-cheek stories showcase the unique driving fun offered by the brand as well as the powerful emotional bond established between drivers and their MINI. 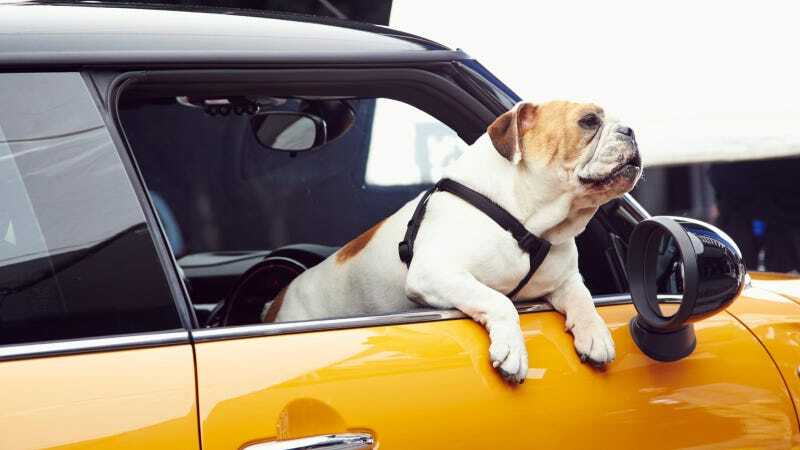 A familiar co-star will appear alongside the brand new MINI: the English bulldog, Spike. With the market launch campaign for the new MINI, the British small car manufacturer continues the tradition of unconventional and humorous appearances across a range of communication channels. The new TV commercial was developed by creative agency BSSP in San Fransisco and implemented by MINI brand communications and the Hamburg-based film production company Sterntag. It conveys individuality a passion for driving fun, innovative technology and a sense of quirkiness which only MINI can offer. On his first trip in the new MINI, bulldog Spike gets to know and appreciate all the main strengths of the newest member of the British small car family. And since the little guys always have to stick together, whatever the species, Spike is also called upon to defend MINI against the advances of an enormous Great Dane. In spite of being sceptical initially, he becomes fond of his master's new MINI by the end of the first test drive and proceeds to show it the way only he knows how. Shot with various endings and broadcast in different lengths, the commercial was filmed at a Hollywood studio and in the streets of downtown Los Angeles. Every single shot was meticulously rehearsed over a period of four days with the huge logistical effort typical of Hollywood productions. With over 120 crew members, MINI also enlisted the help of a special team of dog experts. In addition to wranglers and supervisors, there was a vet and even a make-up artist to ensure the four-legged hero was always in good shape and perfectly presented. MINI and the English Bulldog are old friends: an English bulldog appeared in the recent MINI brand campaign featuring the claim "NOT NORMAL". What is more, the MINI Collection would not be complete without the bulldog: the cuddly version of the animal is one of the most popular MINI lifestyle products. As well as being featured on cushions, there are USB sticks, key rings and smartphone covers featuring the iconic bulldog. The official unveiling of the new MINI takes place on 18 November 2013 - the 107th birthday of Sir Alec Issigonis, who started a revolution in automobile manufacturing with the first ever model over 50 years ago. The world premiere will be held simultaneously in the British capital of London and at the MINI Plant in Oxford, where the new model is produced. The new MINI then sees its motor show premiere in the same week, with virtually simultaneous presentations in Los Angeles, California, and Tokyo, Japan. In addition it will also be officially presented in Shanghai, PR China. The new MINI will be launched worldwide in the first quarter of 2014.